My Islamic education came to an abrupt end when I was nine years old. I was raised in a secular home with Islam as a backdrop for special occasions that required some semblance of order—funerals, weddings and naming of babies. My father was an academic who studied all religions, with a slight preference for Islam. Jeja, my mother, wasn't a devout Muslim either, but feared God’s wrath. So, once a week, she sent my little brother Tamim and me for formal religious instruction at the local mosque. During one of our Quran lessons the mullah singled Tamim and I out, declaring our mother was a sinner in the eyes of Allah because she wore skirts and showed her legs. This was 1977, long before the Taliban. I corrected the mullah, noting that Islam gave women the right to wear what they want and that he was a big liar for condemning my mother to hell. The mullah landed a slap on my seven-year-old brother’s face to punish me for my disobedience. 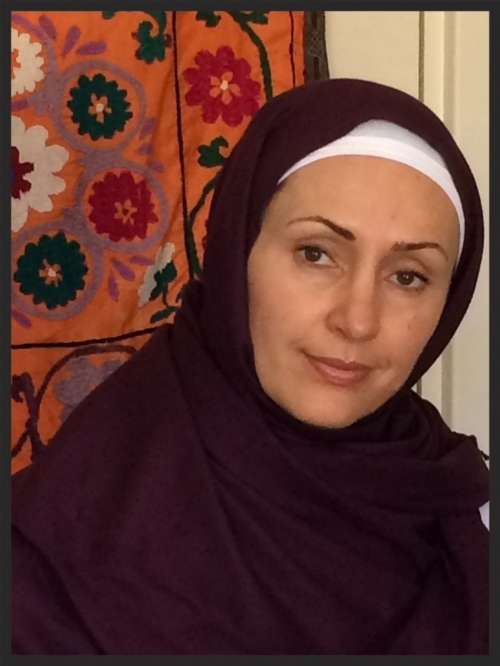 As a protective big sister, I did what I was supposed to do—I grabbed my brother’s hand and ran out of the mosque as I called the mullah several names that should not be repeated here. Our hearts thumping we leapt over the shoes piled neatly at the mosque's entrance and plunged into the deep Kabul winter snow in our bare feet, running away as fast as we could. We weren’t followed. Shivering and scared, Tamim with the red handprint on his cheek wanted to go home, but I wanted my boots and revenge. We snuck back to the mosque, grabbed our boots and, as a last act of defiance, filled all the remaining shoes at the mosque's door with snow. Living in San Francisco, far from the Afghan community in the Bay Area, I only see the inside of a mosque when there is a funeral. You can imagine everyone’s surprise when I announced my decision to make a pilgrimage to Mecca. Friends and family stared at me blankly, asked if I was “OK” and wondered loudly if I’m having a mid-life crisis. 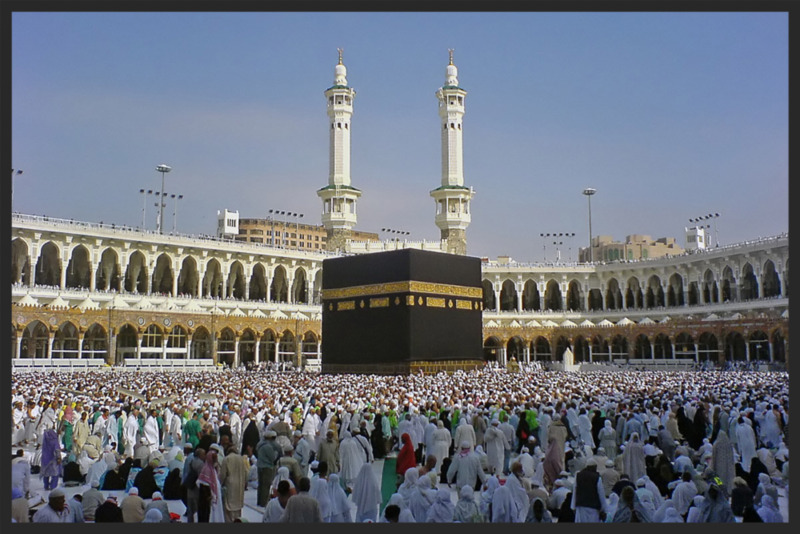 For those of you who are not familiar with Islam, Umrah, also known as minor pilgrimage, is a visit to Mecca performed by Muslims at any time of the year. In contrast, the Hajj, draws millions of people to Mecca during one 5 day period in the last month of the Islamic year. Hajj fulfills one of the five pillars of Islam that all able-bodied Muslims must complete before their death. I’m doing Umrah. It was about two years ago when I started fantasizing about a trip to Mecca and Medina—to experience the power of Islam's holiest sights. I imagined it would be moving, sharing this spiritual adventure with thousands of others, all donned in white clothes from head to toe as we follow the footsteps of Prophet Muhammad, Peace Be Upon Him (PBUH) around the Kabba (home of God). The opportunity to take this trip came sooner that I expected. A few weeks ago I found out my favorite aunt was making the pilgrimage at the end of March with a group of Afghan-Americans elders. I decided to tag along, after all, it’s not everyday I will find someone who wants to go on a pilgrimage. The euphoria of my decision turned into a burden when elder relatives called to congratulate me for making the holy pilgrimage. Surprised by this reception, I realized I was stepping into a bigger obligation than I had anticipated. In my next post I’ll share with you the details of my preparation for the trip and my spiritual journey as I re-learned how to be a Muslim. Part II of this post can be found at the following link. If you’ve been to Mecca and Medina, please share your experiences with me by commenting at the end of this post.